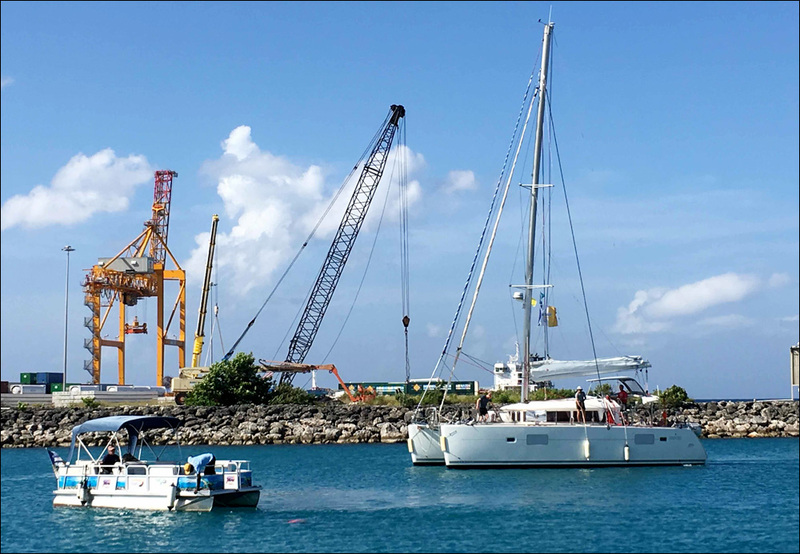 After exactly three weeks at sea, two more Atlantic Odyssey arrived in Barbados this morning. 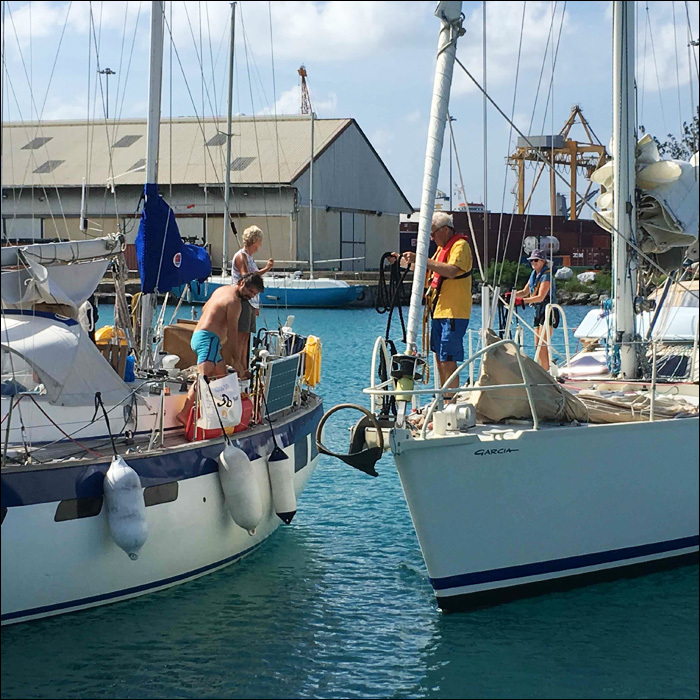 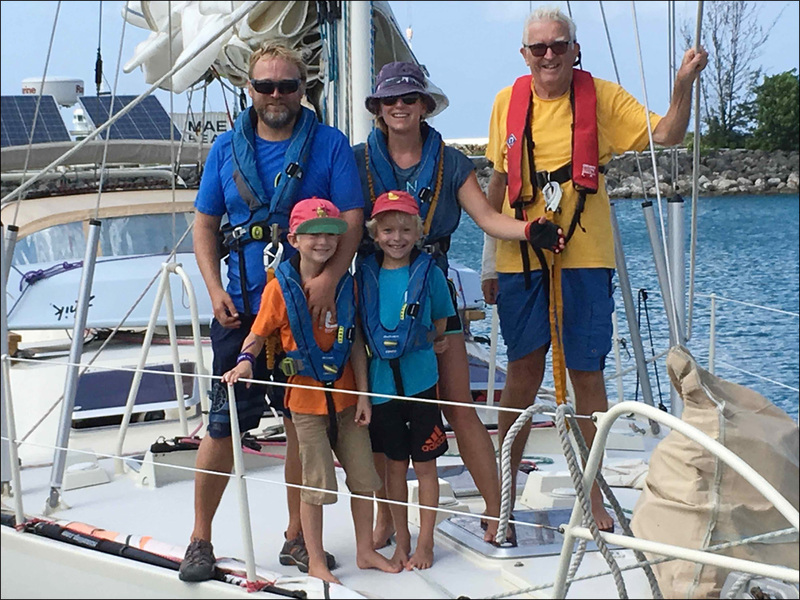 Both the American Enjoy and the British Bonaire crossed the finishing line soon after first light and were guided to the new reception dock in the Shallow Draught area of the commercial harbour. 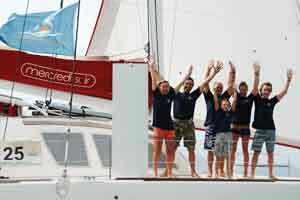 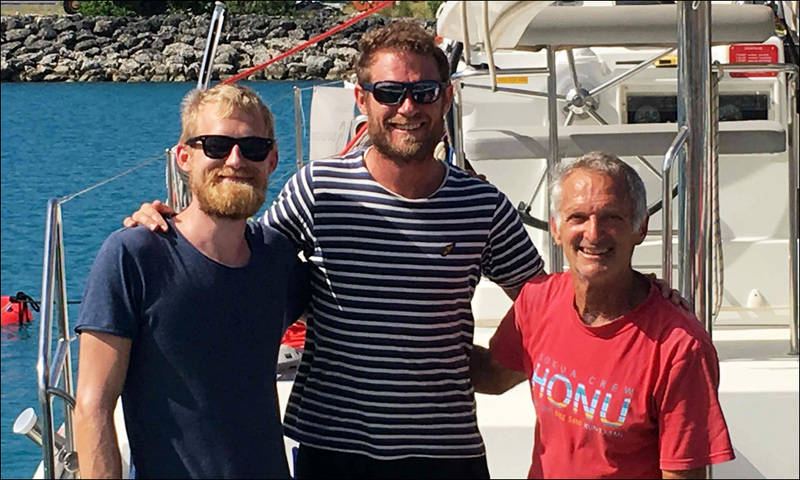 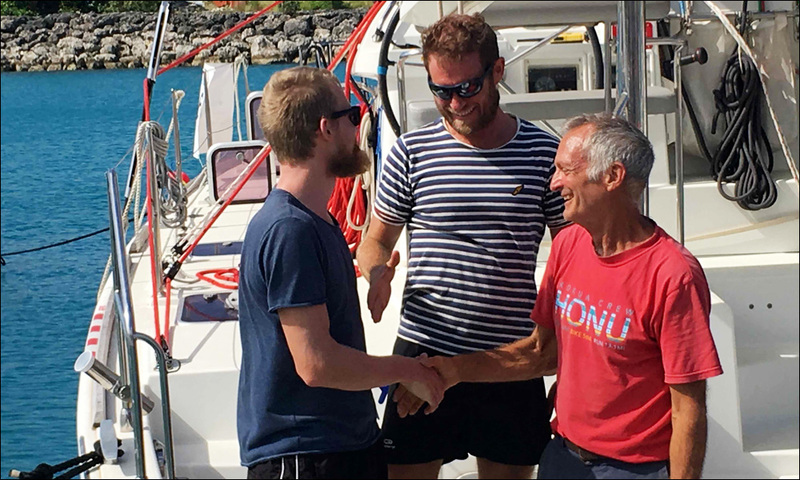 All arriving boats are met on the finishing line by local sailor Andy Porter and his team. 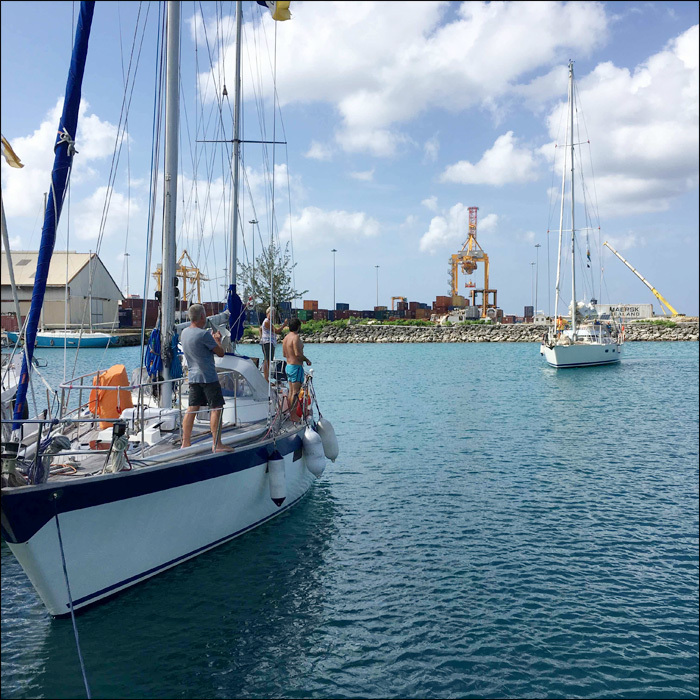 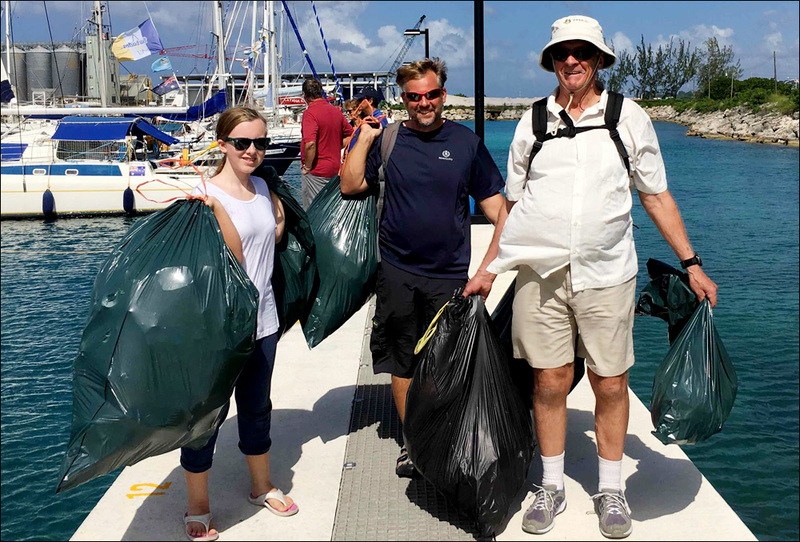 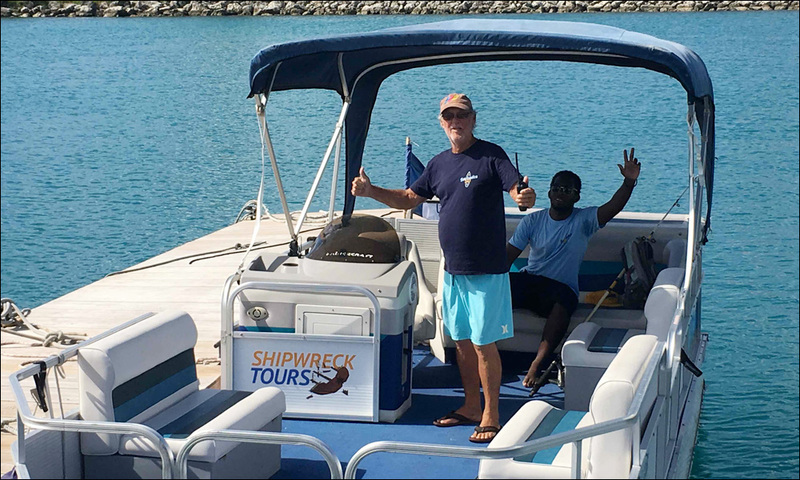 The new facility, provisionally referred to as the Barbados 50 marina, is a convenient point of arrival in Barbados as it has laundry facilities, showers and garbage disposal containers. 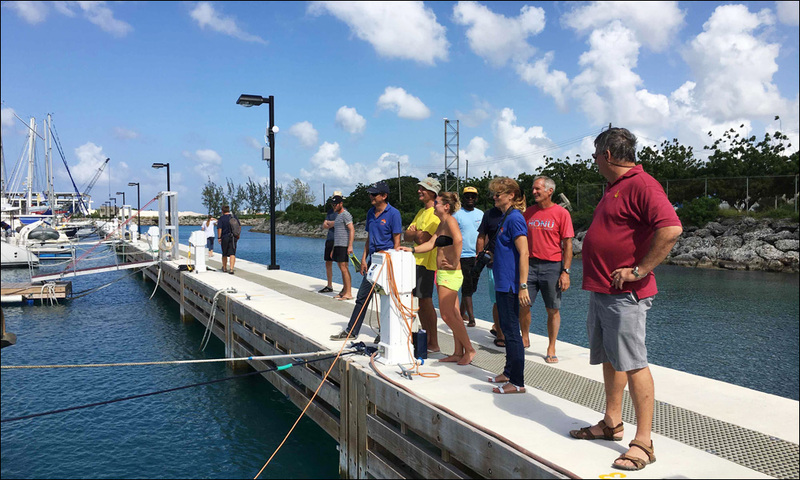 The facility was set up for the arrival of the Barbados 50 Odyssey, but is now used by all Cornell Sailing events finishing in Barbados. 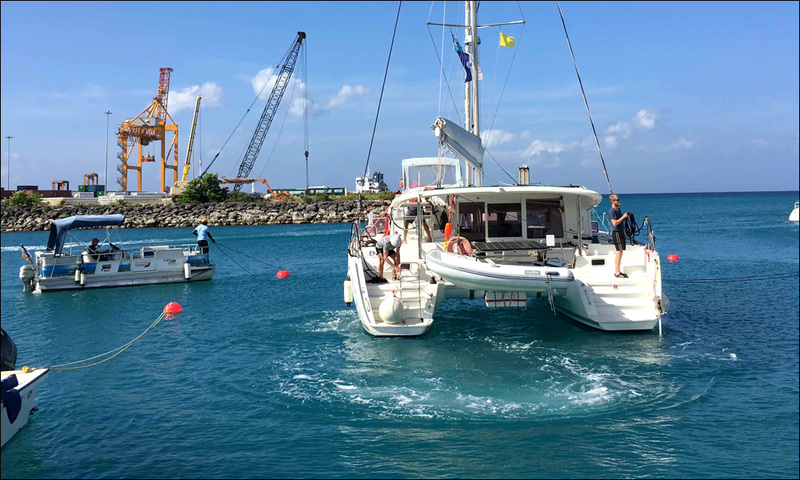 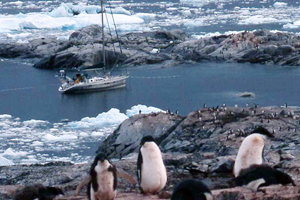 At least four more boats are expected to arrive tomorrow, Sunday: Sta Vast, Richard Parker, Silver Lining and Careka.